Does your company have the right culture to succeed in the new world of social? We are at the brink of a historical shift where the classic way companies are structured (and do business) might no longer be viable. The speed at which everything changes has to be met. And not just by companies, but also by you and me. We live in different times than our parents. A very open door, I admit, but true nonetheless. A quick trip down (my personal) memory lane. When I grew up, we had 2 channels on our black and white TV. 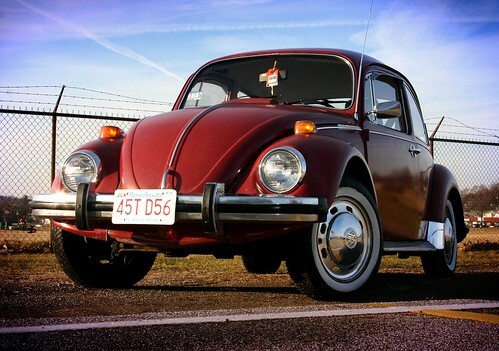 When we bought a car it was a brand new VW Beetle (the classic one of course) and my bicycle was a one speed. We had a rotary telephone and we walked to school, where we did everything with pen and paper. The only electricity used in the classroom where the lights. And I’m not even that old, just 43. Now, what has this to do with your company? Well, there are companies who still, fundamentally, work via the same management structure as 43 years ago. They were forced to use modern technology, like the computer and e-mail because the competition did the same thing (they had to adapt). They reluctantly incorporated these technologies and have been working the same way ever since. The only difference being Windows and Office has been upgraded a couple of times. But in essence, not much else has changed. We still have useless 1 hour meetings with endless discussions and poor results. We still use Outlook as a document repository and chat tool. We still give presentations with too much text and boring graphs. The way in which some companies nowadays prepare for a flashmeeting, share inspiring stories with employees, encourage innovation, have short lines of communication and quick customer care responses is simply inspiring. If you are reading this, there is a fair chance you’re in one of the first three, but not necessarily so. The crux of the above list is that the transformation path, from a “regular” business to a “social” business, will be determined by the current state of the (or your) company. The further down the list the more difficult it becomes. You have to start smaller (a project at the time), maybe starting out with only one champion, depending on the size of the company. It will be more difficult to change the hearts and minds of middle management, let alone top management. Although it might seem impossible to reach a certain goal in socializing a business.., it is not. It just takes more time and effort for some. If you’re an employee, you might just start with one colleague, or use Yammer when starting a new project. If you’re middle management, start with your personal branding, maybe a blog and write positive stories about your company and share experiences others can learn from. If you’re top management.., well.., the choice has to be yours, but the rest of the company might be bogged down in the classic structure with all the internal politics that come with it. Forcing social tools down the ranks might not work. But, with the right motivation and determination.., well.., there’s not much we can’t do.., right? So, how’s your company culture doing?